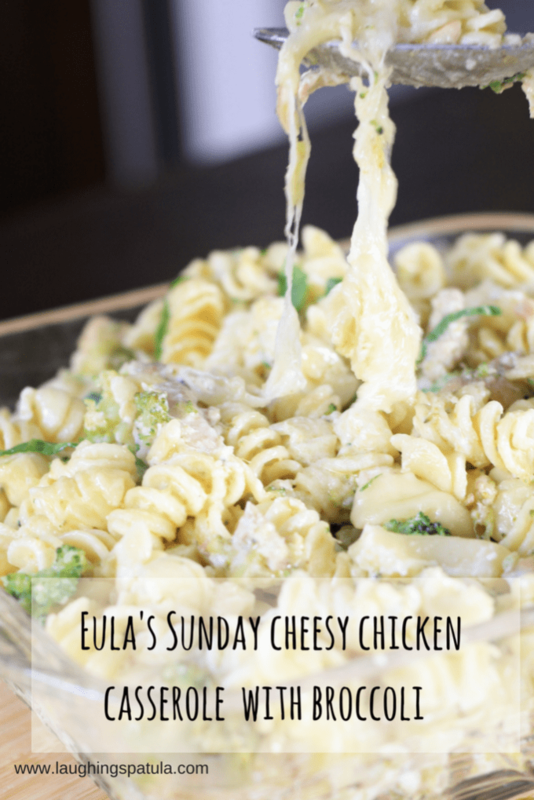 Eula’s Sunday Cheesy Chicken and Broccoli Casserole! A no-fail, easy to make dish with ingredients you likely have right now. I’ll bet most people have a ‘go to’ casserole in their family recipe box…they almost all include a can of cream style soup…. and this one is no different! But every time I make this, I get asked for the recipe over and over again! It feeds a crowd and has a fresh flavor that not all creamy casseroles have. Eula was my mother-in-law. Probably one of the nicest people I have ever had the privilege of knowing…she had a true heart of gold. She was a wonderful cook, and I am not so sure she would be thrilled to know that her name is attached to one of the simplest dishes she made, but we started calling it Eula’s Casserole years ago and it’s too late to change now! If you are looking for another yummy Chicken dinner…check out our Creamy Chicken and Mushroom Skillet! 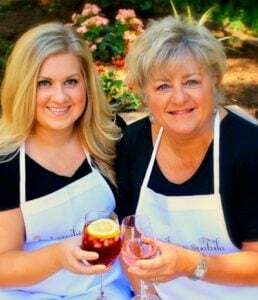 To old recipes that are the best recipes! This hearty and comforting casserole will become a family favorite! the casserole was good but would it heart to add broth to make it not so dry or did I do something wrong? I used frozen veggies and it was delicious! Hi Brenda – I used fresh. 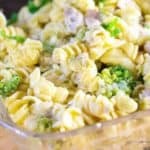 It cooks along with the casserole and comes out crisp tender. I’m not sure about frozen broccoli. Personally I’d avoid it. Hi Brenda! I’ve used both – keep the frozen stuff frozen and it will turn out just dandy. I also add a bit of curry powder for some zip! 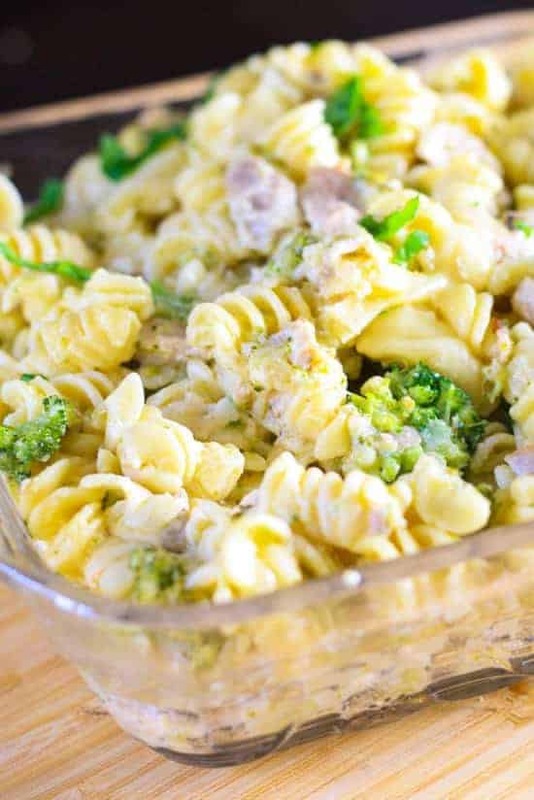 Leftover cooked broccoli is an option, but the crisp texture is lost. When I use leftovers I puree the broccoli with the soup then add the rest.